Cycling's governing body the UCI has warned teams it will not recognise this year's Paris-Nice race in a move which could threaten the Tour de France. The disagreement is the latest chapter in a long-running row between the UCI and major race organisers. UCI chief Pat McQuaid is angry with the organisers' decision to manage the race only under French law rather than under the governing body's jurisdiction. "This measure will have far-reaching consequences," said McQuaid. McQuaid sent a letter on Monday to all teams to explain the dispute with Paris-Nice organisers Amaury Sports Organisation (ASO), which also organises the Tour de France. Paris-Nice, which starts on 9 March, is the European calendar's first major race of the season but the rift is a genuine threat to the Tour, cycling's most famous and prestigious race. ASO wants to run the race under the auspices of the French Cycling Federation (FFC) and the French government. But the UCI is threatening to withdraw anti-doping regulators and McQuaid admitted the stand-off could affect the Tour if ASO and the FFC do not hold events such as Paris-Nice under its jurisdiction. "It's about power and it has nothing to do with sport. 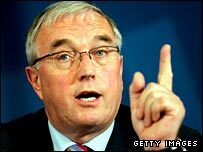 We cannot allow this to happen," said McQuaid. "[If the FFC] insists on maintaining this position, the race will take place entirely outside the regulatory and organizational structure of the UCI." The UCI says will not give any classification to Paris-Nice nor recognise a winner or award points unless the situation is resolved. "The UCI trusts that the teams will refuse to take part in Paris-Nice, as, regardless of the sanctions to which they would be subject, such participation would compromise the image and stability of cycling." It also appealed to the FFC and French Secretary of State for Sport to reconsider their decision to support ASO. Last year, ASO boss Patrice Clerc called for McQuaid to step down after a long-running feud that included doping scandals at the Tour. Tour director Christian Prudhomme added to the dispute by declaring the race will operate under its own rules in future. Running from 9-16 March, the 66th Paris-Nice will be made up of one prologue and seven stages and will cover a total distance of 1,230km.